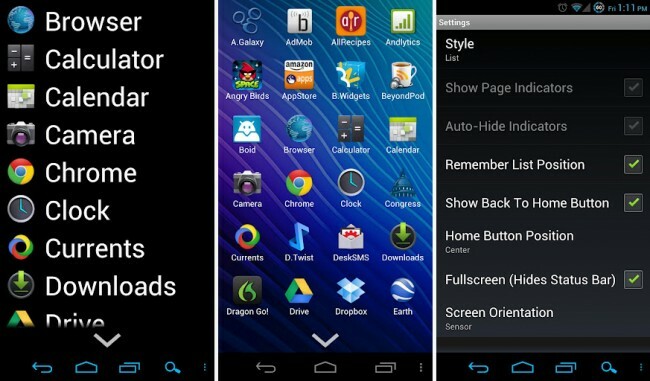 If your homescreen or more specifically, your app drawer is feeling a bit stale, then AppDrawer is looking to spruce things up for you. It can work with multiple launcher applications such as ADW Launcher, LauncherPro, Apex Launcher and Nova Launcher being some of the bigger names. The replacement app drawer lets you choose what layout you want, whether it be a list like is found in Windows Phone 7 or the scrolling app page found in Android before Ice Cream Sandwich’s release. You can choose the background color and even the font that you want underneath your applications and the list just goes on. If you’re looking for that little extra tweak to make your phone just how you want it, check out this app drawer replacement.